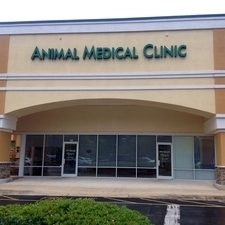 Accreditation through the American Animal Hospital Association ensures that a veterinary practice is operating at the highest standards of excellence in pet care. Veterinarians and pet owners know pets at AAHA accredited practices receive the highest quality care from well trained, professional veterinary teams. To become AAHA-accredited, practices undergo a rigorous evaluation process to ensure they meet the AAHA Standards of Accreditation, which include the areas of: Patient care, diagnostic imaging, laboratory, pain management, pharmacy, safety, anesthesia, surgery, dentistry, client service, contagious disease, continuing education, examination facilities, medical records, leadership and emergency/urgent care. To maintain accredited status, hospitals undergo comprehensive on-site evaluations every three years, which ensures that hospitals are compliant with the Association's mandatory standards. We provide a comprehensive program of pet wellness care unmatched by any other and pride ourselves on being able to offer your pet state of the art in-house technology as well as a professional caring staff committed to the care and comfort of each individual client and patient. Our online pharmacy is available for the convenience of our current clients. We have a variety of products available including heartworm preventatives, flea and tick control, prescription medications, nutritional supplements, and Veterinary Diets. Please feel free to browse our online store. ﻿﻿﻿Keeping your pet healthy has never been so easy! Review your pet’s health records, print vaccination history and more. Request an appointment or order a prescription online. 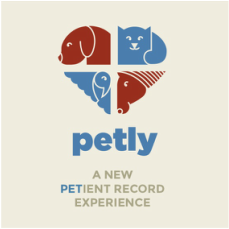 Petly is designed to let you access your pet’s health resources when you need them most.